Marvellous scenery and plant and animal life. Appalling weather is usual, and there will be no support. Prepare very carefully. The south west wilderness has to be one of the earth's most pristine places. Rainforest through to alpine areas. Mountain, butte and cliff; canyon, waterfall and forest, and pristine coastline. As usual a huge array of lovely vegetation, including the up to 3,000yr old Huan Pine and a lot of fascinating wildlife. Between 6 and 8 totally self-reliant days in rough country and frequently tumultuous weather. Come fully prepared (i.e. heavy packed). Fly into Melaleuca to the south of glorious Bathurst Harbour, and walk to the roadhead some 85km to the east. Big hills, glorious coastline. Little is boardwalked, so long deep muddy sections can get very dreary. Rivers to cross - beware. South West Tasmania - John Chapman, is essential. See also Lonely Planet's Walking in Australia, www.besthike.com, and Tasmania's South Coast Track (www.parks.tas.gov.au). Tasmanian Expeditions (www.tas-ex.com) do guided tours here. 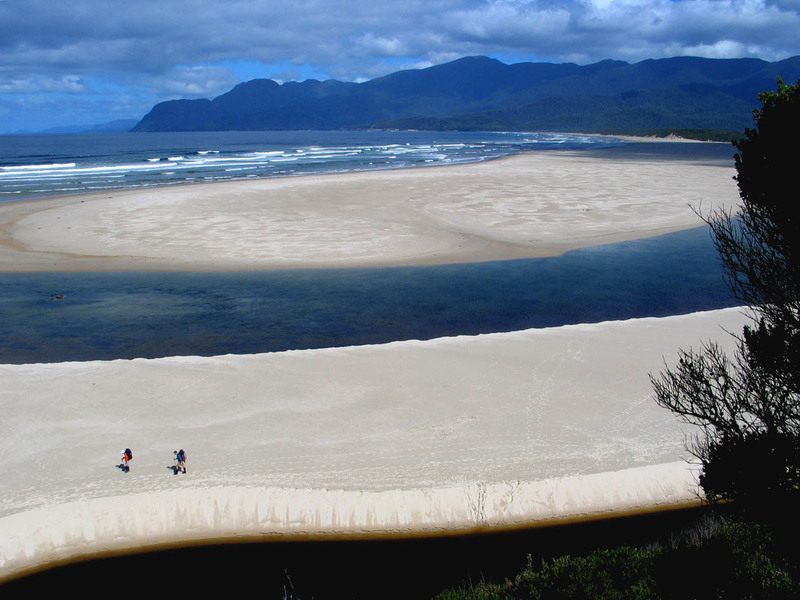 See our Tasmania page for further general and practical information. Pretty full on walking in a true wilderness area. We were dropped off by light plane and walked out a week later. Lots of mud and one very steep mountain range in the middle. Gorgeous beach cmaping every night.